Right out of the box, used on typical house shot where the lanes were a little tighter than normal. Moved my feet a few boards right and crushed the pocket, as the lanes broke down I moved left slightly and the ball still hit great. Pin just below middle finger and the reaction is smooth but strong. Because of joint problems, I have moved down from 16 and 15 pound equipment to 14 pounders. I was worried about using such a light ball but I shouldn't have been. What a great product! I got some recommendations from better bowlers than myself and the pro-shop staff at Sunset Lanes in Moorhead MN and decided to go with the Hyroad. This ball is great on fresh oil and continues being useful as the pattern breaks down. I highly recommend this ball to anyone looking to improve their performance. Also, if you have joint problems, the lighter weight really helped my wrist, arm, shoulder, and even my kness. I'll be coming back for more Storm products! They say when you have something special never let it go. I got a HyRoad when it first came out but was shock to see how easily it cracked from the summer heat. After two cracked balls I invested in others like the CrossRoads and Pearl, both perform good but not great. Then my CrossRoad was stolen so I had an opportunity to go back and get an original HyRoad. Best decision ever. 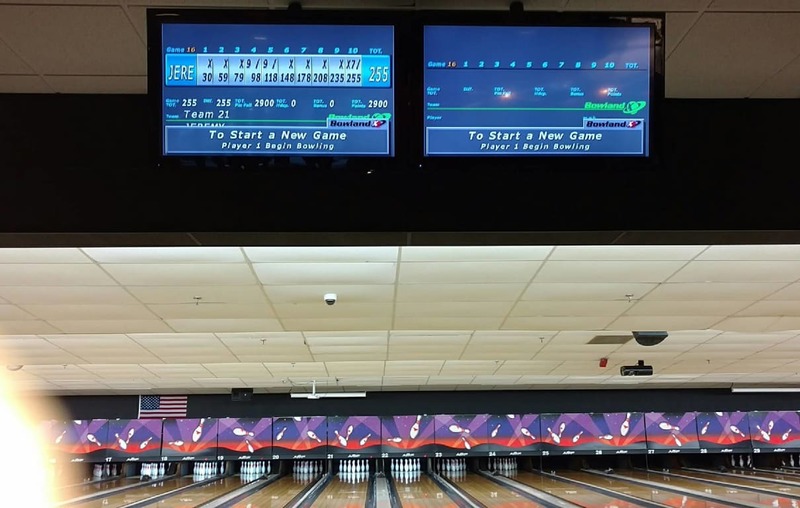 Avg jump 40 pins and above 200. This to me is the best ball ever made by Storm. I hope they continue the model for a very long time. By Rich from Watertown, Ct. This ball did all I was looking for & more. I took my 195 avg. to 213 over the 14 weeks I had the ball. I am looking to start the new season in September. I can play the ball with a large hook or go down the middle with it. I had it drilled for a long carry & sharp hook at the end. If you don't have one.....GET ONE!!!! The Hyroad is the best ball I have ever thrown!! It goes long and strong down the lane with a great backend reaction crushing the pins. If you don't have one of these in your bag, do yourself a favor and go get one!! I've been bowling for about 7mths.. I purchased a Storm Gravity,Energy,and Hyroad... I liked them all, but the Hyroad is my favorite. 150 average bowler.. First week with it in league play roled a 660 series.. 179,256,225..nice, but even sweeter. I used it 2/7/10 in league play did'nt do so great due to operator error.. hahahah,but, practiced aftewards and roled my first 300... Man if I could have only did it doing league. I'm sure I will get several sanctioned 300s using my hyroad.. Sweet bowling ball, I've purchased another one for back up already..
Good backend ball and I use it for oily conditions. I'm averaging 224 since I've got the ball about a month ago. just punched one out tonight...didnt use it on fresh oil, waited til the 10th frame first game to unleash it. shot 536 the last two games. drilled it to scream on the backend and it did! then some. After being away from the game for 11 years because of an injury, I returned this past season. Not knowing how the game had changed I went to my local proshop professional and he suggested the Storm Hyroad. What a great choice. I had been a 200 avg.before my injury I was concerned what kind of avg I could carry through out the season. Well the game had changed but because of the Storm Hyroad I was able to carry a 194 avg. which I was very pleased with. Thanks Storm!!! Follow the Road to WINNING! Layout- Pin under ring, cg shifted positive, medium width/depth hole down by the thumb. Lets face it, I am a staff member who never had drilled one, so I just had to. I was pleased with the way the ball rolled- it actually cornered more than I had anticipated considering the Hybrid cover and reputation this ball has for being smooth and controllable. All that really means to me is that I'm more apt to use this ball from the track in and not from the track out when playing the lanes. I love the way the ball looks and smells (I like the fruity scents better than the aromatherapy scents for sure), it just feels..... Familiar. That's a good thing for bowling, because it makes you more comfortable and relaxed. I was stoked to see that this ball is going to remain in the line this year- it is still prolly my best selling mid-range ball. By KCH from DALLAS TX. THIS BALL IS GREAT! THE FIRST DAY I GOT I ROLLED A 299! WEEKS LATER I SHOT ANOTHER 299 AND A 300! WHAT WAS SO GREAT WAS WHEN I SHOT MY FIRST 800 AND IT WAS A BIG ONE!! GAMES OF 277,279, AND 299 FOR A 855!! WHAT A GREAT BALL!!! Bowling in league = fun. Bowling in league since owning the Hy-Road = THE BEST EXPERIENCE I'VE EVER HAD BOWLING!!! I used to average 180's. I'm now averaging about a 200 average. I've bowled my first 600 series recently and was close to a 700 four times already. I've had the ball about 2 weeks since mid April. I stand with left foot at about the 20 board and aim at the 12 board. Rolls in very smooth and hits harder than Superman. Even when the oil starts to dry, the ball will read the lane and still come in strong. If you don't get great scores with the ball, it's only due to operator error. This ball has saved my team from losing almost everytime we needed the win. I wish i worked for Storm so that I would get paid for all this promoting I did. Left one of my hammer in my wife truck. I need a ball badly I ask what is a good ball with a great price. Well my god I am shock to see this ball hits like a truck going down hill with no brake. It brought back those good old day of my Thunder Road. 235 259 278 with out any 7 pins Thanx you Storm. Well to day iI shot 200 300 245. Thanx again keep doing what you do. What a great product!, The Hyroad is the best ball I have ever thrown!! 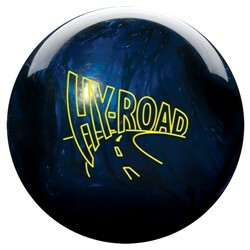 It goes long and strong down the lane with a great backend reaction crushing the pins, The Hyroad is my go to ball. No matter how bad I'm bowling I can go to my Hyroad, I'm by no means a great bowler I bowl between 130 and 150 every time. So it's helped me to not be all over the place and better my game. If you don't have one of these in your bag, do yourself a favor and go get one!! Storm hit a Home Run!! The hyroad...or as I call it Ole Reliable. This is a must have anywhere you go gets through the front part of the lane and just unleashes ok the backend with great continuation through the pins. There's a reason that storm hasn't stopped making this ball. It's just too good The back end motion is so great and the pin carry with this ball is absurd. A little high or trips the for a little light it's smacks around the light mixer. Everyone should have a "ole reliable" in their bag. Stop waiting and get yours now. The Hyroad is my go to ball. No matter how bad I'm bowling I can go to my Hyroad and the scores come back. Almost time to get another one. Great ball to have in your arsenal. I'm by no means a great bowler and I only purchased my own because I was tired of looking for decent house balls. I was a very inconsistent bowler. I would get 160 one game and 75 the next. With this ball, I bowl between 120 and 135 every time. So it's helped me to not be all over the place and better my game. It also keeps my locker smelling good! Took some getting use to due to a lower weight then I usually use but really like it. Storm hit a home run with the hyroad, very is to read right out of the box I shot a 248 without trying. I'm a 190 average bowler. I've had this ball for four (4) weeks. My first time bowling with this ball I shot a 581. Since than I've had a 752, 657 and 683. All I can say is "I love this ball". Didn't work for one but GREAT for me! Just got this ball a week ago after a lot of research. I was a pretty straight bowler with my previous ball. My average with my previous ball was around the 140-150 range. Right out of the box I threw a 198 with the Hy-Road.. My first league game last night with the Hy-Road, I threw my first 600 series! I had yet to even throw a 500 series with my first ball!!! This ball is just amazing. Seems to find the pocket everytime! A lot of the credit goes to Glen at the Pro Shop for the awesome drilling job! Highly recommend this ball! By ZYNSTAR from Memphis , TN. Have had many balls , many good , only few not so good . HyRoad is the best ball I've ever owned . Reads lanes very good , carries pins , powers through pins constantly . Works great with all oil paterns . There's not a better overall ball . HyRoad is top notch ! My last season average = 186. I used an old special agent and felt that I was much better than what I was producing on the lanes. I bought the Hy-Road at an exceptional price from Bowling.Com. This season, my average is 204. This ball fits many different style, I can throw it any way I want and it will always track to the pocket. Baught this ball 2 days ago and already bowled a 253! This is my highest game bowled, so i was extremely pleased with this Storm Hy-Road ball! I can say this is the best ball I have ever owned. Between the start of sept. and late Oct. I was able to roll 5 700's with the top being 768 and have had 279 four times. It really reads the lanes well.I had mine drilled to go long with a big back end !! If this is what your looking for , then this is the ball for you !!! This ball has a smooth arch and packs a punch. It's my go to ball, whether on a medium or heavier lane condition. At first this ball didn't seem to hook much more than my old 16lb AMF King Cobra which helped me carry a 195 average the last year I bowled back in 2009. After bowling about 10 games with this ball (15lb) I am starting to see a lot better back end movement and carry, and more and more 200+ games which is what I was hoping for when I bought the ball. smooth ball, no need to try to do too much with this ball. Just roll it and let the ball do the work. with this ball.... the best shots=the smoothest shots! I use this for league and of course practice. It's my second ball I have owned in my lifetime. I started with a 12 pound ball to start and wound up being too light later on (once I got my strength up). This Hy-Road is a 14 pound ball and it feels good to me. It's adaptable and predictable on the lane. Which is the distance between the Pin and the gravity center ? Hello! You will need to put your exact weight/pin/top weight in the blue box that says "click to request pin/top weight" right under the weight option. 2 of 6 customers found this answer helpful. Did you? Yes | No Did you find this answer helpful? Yes | No Thanks for your feedback! How does this compare to the Roto-Grip Hywire? Will it finish harder? Hello. The Storm Hy-Road is a less aggressive ball than the Roto Grip Hy-Wire. Hi Mickee. Yes, this should be a great ball for you. How does this ball compare to the rotogrip outcry? You should see a little more length out of the Outcry and it's 4000 grit finish. Is this ball better than the timeless? Hello Kay. The Storm Timeless will be a way more aggressive ball than the Storm Hy-Road because the Timeless is a High Performance ball and the Hy-Road is a Mid Performance ball. I just started bowling again and am using a more than 30 year old Dic Weber Powerball. Would this ball be a good replacment.? 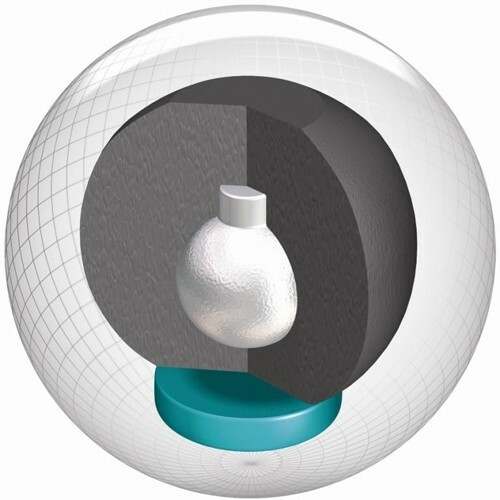 There will be a generic core for a 13# ball. Yes, this ball will have a medium-high hook. Yes, this ball would be perfect for that! It will have a sharp break. How does the HyRoad compare to the Code Red? What’s the difference between the two since they’re both hybrids? The key difference is that the Code Red is a higher performance line so the cover and weight block on the Code Red is stronger. The Hy-Road is Storms best selling ball of all time though and it may be because the Hy-Road is very versatile to handle a lot of lane conditions. Will the core be different between 12lbs and 14lbs? Yes, that is correct. The core for the 12lb ball will be a generic core. How does the Hy-Road compare to the Roto Grip All Out Show Off? The only difference between the two bowling balls is the lane conditions, everything else will be pretty much the same. The Hy Road is for medium-heavy oiled lane conditions and the All Out Show Off is for medium oiled lane conditions only. Will the Hy Road and Marvel Pearl be a good combo? Or what about the Hy Road Pearl? The Hy Road will be a Hybrid coverstock and the Hy Road Pearl will have a pearl coverstock. The Hy Road will have a different performance than the Hy Road Pearl. The Marvel Pearl and the Hy Road Pearl will have the same coverstock so it will more than likely have the same performance. Yes, that is always a great addition to add in case the ball cracks after the first year of using it. This ball will definitely hook. I am a new bowler. Athletic and competive. I can get a house ball to break and after not touching a ball for a very long time was able to bowl a 140. Looking at the HyRoad and Nitrous. What are your thoughts? Any other options to consider? If you are just starting out, I would go with the Nitrous line, for it will have a skid/flip reaction and won't be too aggressive for you. hy road & hy road x in 13lb does 13lb change the core.what is best. I currently bowl with a 14 lb Storm rapid fire ball and would like to have a little more aggressive ball.what would be the next step up ? Since the Rapid Fire is a mid performance ball you would want to either go with an Upper Mid performance ball or even a High performance ball even. Due to the time it takes to produce the Storm Hy-Road ball it will ship in immediately. We cannot ship this ball outside the United States.